The Small Oval Tray is a new shape in our collection of engraved statements. 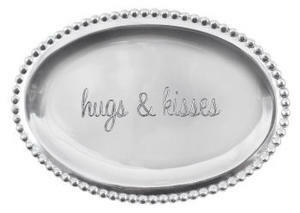 This tray is engraved with a sweet "hugs & kisses" statement in equally sweet font. Perfect as a catchall for small accessories on a dresser or desktop.